Currently based in Portland, OR, Amy Bleu is a singer-songwriter. She is a self described Anti-Folk Folk/Blues singer, but many liken her sound to the Alternative Folk Artist Kristin Hersh. Her Vocals, which range from a controlled scream to a mesmerizing lullaby are hauntingly beautiful and her lyrics poetically express anguish and joy with poignancy, depth, and pathos. Brian Stuart is a professional pianist. He spends most of his time teaching piano to dedicated students. Find more information on his website. Offering unique gifts for all occasions with Love Note Messages packaged and delivered in our beautiful bottles. 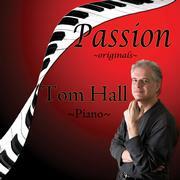 Tom Hall is a professional pianist and composer. He currently has videos on YouTube as well as CDs available for purchase. Please visit Tom's website to learn more about his amazing talent and music. I am happy to provide links to other web sites. I will do this as long as you provide a link back to my web site. If you would like to setup reciprical links please fill out the form below.